The OSRAM Trust Program: Don’t trust your eyes. 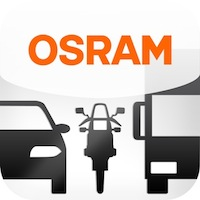 Trust OSRAM. At OSRAM, we always aim to provide you with the highest quality products. We therefore monitor all quality and performance aspects of our products throughout the whole manufacturing and shipping process as carefully as possible. After all, quality and performance is what makes any OSRAM product an original OSRAM. You wouldn’t settle for anything less, would you. In recent years, we have seen a rising number of products which try to copy not only certain parts of our products but also our name, our logo and our packaging. For customers around the world, especially those purchasing xenon lamps, this means a lack of certainty regarding the originality of our products. You might have seen product piracy in other areas before. Some of them are easy to spot, yet some are not. When it comes to OSRAM products, some of those fakes are so good that neither you nor a professional’s eye can spot the difference. As we have reached a stage where you cannot trust your eyes anymore, we want you to know that you can however trust OSRAM. That’s why we have built this supporting website and developed the OSRAM Trust Program.